Following the successful debut launch of the Long March-6 rocket just days previous, China has now debuted the new Long March-11 solid launch vehicle, orbiting three “Tianwang-1” satellites with Portuguese technology on board. The launch, which included at least one other small satellite – Pujian-1 – took place at 01:41 UTC on Friday from the Jiuquan Satellite Launch Center. The Tianwang-1 mission is composed by three small satellites that will demonstrate formation flying and inter satellite communication between the three satellites in orbit. The three satellites – Tianwang-1A (SECM-1), Tianwang-1B (NJUST-2) and Tianwang-1C (NJFA-1) – were developed by the Nanjing University of Aeronautics and Astronautics. 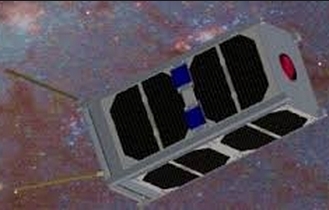 The satellites are based on CubeSat architecture, with SECM-1 and NJUST-2 being a CubeSat-2U and NJFA-1 a CubeSat-3U. The satellites will make inter satellite communication sessions using the GAMALINK Portuguese technology developed by the Portuguese company Tekever. Cooperation between Tekever and the Shanghai Engineering Center for Microsatellite (SECM) comes after an agreement signed in Lisbon on April 22, 2014 for the development of satellite technology to be integrated inside the microsatellite platform being developed by SECM. The Tianwang-1 is designed and implemented by a consortium led by the Shanghai Engineering Centre for Microsatellite in China, together with GomSpace from Denmark, Tekever Space from Portugal and NanoSpace from Sweden. According Ricardo Mends, CEO of Tekever, the GAMALINK technology will enable the three satellites to work together like a satellite constellation and not like a group of three individual satellites. With this technology, various types of radio links can be taken on a single physical platform (hardware), each of which uses its own software. Before, each radio link had its own hardware, so this new technology makes the system simpler. The same technology will be used on the European Space Agency’s PROBA-3, set to be launch in 2017. A pair of satellites will fly together maintaining a fixed configuration as a ‘large rigid structure’ in space to prove formation flying technologies. The mission will demonstrate formation flying in the context of a large-scale science experiment. The paired satellites will together form a 150-m long solar coronagraph to study the Sun’s faint corona closer to the solar rim than has ever before been achieved. Beside its scientific interest, the experiment will be a perfect instrument to measure the achievement of the precise positioning of the two spacecraft. The main objective of the TW-1 mission is to experiment and to evaluate the use of a SDR (Software Defined Radio) payload in orbit. The mission will demonstrate the formation flying by two CubeSats; Cubesats networking based on Gamalink and CubeSat Space Protocol (CSP); in-orbit demonstration and validation of CubeSat equipment such as dual-band GPS/BeiDou receiver, MEMS based cold-gas micropropulsion, etc. ; monitoring sea ice and information about maritime traffic in polar regions based on the AIS (Automatic Identification System) on-board a CubeSat; monitoring air traffic flow when collecting ADS-B signals (Automatic Dependent Surveillance Broadcast), and observing the separation of the three satellites process. The main payloads involve amateur radio technology used for the exchange of TT & C (Telemetry, Tracking, and Command) with a control ground station, and for transmitting beacon signals and telemetry data with other ground stations. Other payloads are a GPS / BDS receiver, a video cameras, and AIS and ADS-B receivers. The telemetry, beacon and the communication device signals details will be open to public for access, so the amateurs around the world may track the satellites, monitor the health of the satellites. Planned downlinks on VHF and on UHF are 57k6 GMSK and 2.4GHZ with spread spectrum at1Mbps, based on the GAMANET protocol. 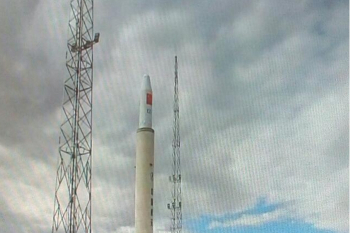 TW-1 was originally schedule for the end of 2014 together with a remote sensing satellite. The launch was then delayed to May 2015 and later to the end of September. The Long March-11 (Chang Zheng-11) is a small solid-fueled quick-reaction launch vehicle developed by the China Academy of Launch Vehicle Technology (CALT). It’s goal goal is to provide an easy to operate quick-reaction launch vehicle, that can remain in storage for long period and to provide a reliably launch on short notice. Very little is known about the rocket, with only one badly taken photo available on the internet. However, LM-11 is known to be a solid-fueled launch vehicle equipped with a liquid-fueled trim stage. Other launch zones at the launch site are used for launching the Kuaizhou and the Chang Zheng-11 solid propellant launch vehicles.